HOW DO WOMEN DRIVE CHANGE IN AFRICA? On International Women’s Day, we focus on the vital role played by women in shaping Africa’s future. Three powerful women will share their ideas and experiences of how small steps combined with bold ideas are making a sustainable continent from the inside out. On this special day we are launching AfricaTalks, a HagueTalks-inspired platform for dialogue, by Africans, for everyone. This platform inspires positive social action and will be a meeting point for creative minds, peace inventors and game changers on the African continent. AfricaTalks was created in response to the demand for a platform where the success stories of young African change makers can be shared. 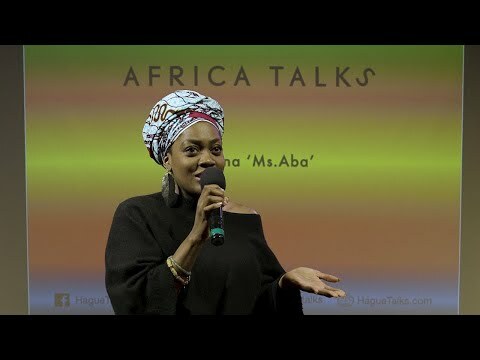 Inspiration for this debut edition of AfricaTalks has been drawn from the International Women’s Day theme #BalanceforBetter through which we celebrate how African Women are pushing towards achieving a more gender-balanced world. As a presenter, she has hosted various entertainment and lifestyle events like, The Hague African Festival, Miss Africa Netherlands, Afrika Dag (Africa At Night) and New Skool Rules Festival. Ms. Aba works as a freelance presenter, broadcaster and voice-over artist. 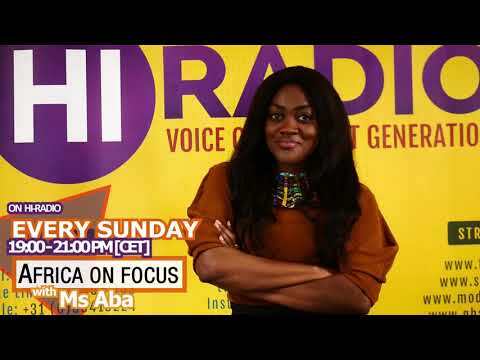 You can listen to her every Sunday from 7pm (CET) on Hiradio on her weekly show Africa on Focus, a radio show aimed to promote entrepreneurship and success stories within African communities. Africa on Focus the Podcast is a recap of the radio show available on Soundcloud, Spotify and iTunes. 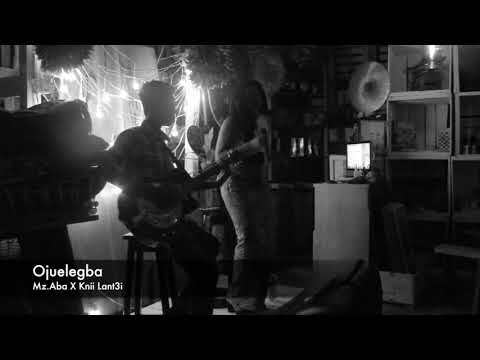 Have a listen to Ms.aba’s newest acoustic rendition of ‘Koko, a hit record by E.L (Ghanaian Afrobeats music artist and producer). 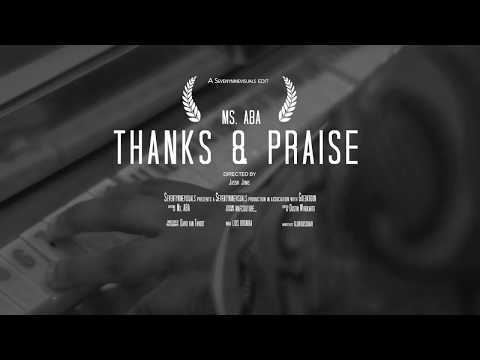 As the year is coming to a close, Ms.aba shares a feel-good song that shows her gratitude for a safe 2017(let’s just say: so far, so good,lol). Feel free to subscribe to her Youtube channel and be the first to watch her latest live renditions. Like and share her video on Facebook and Twitter. 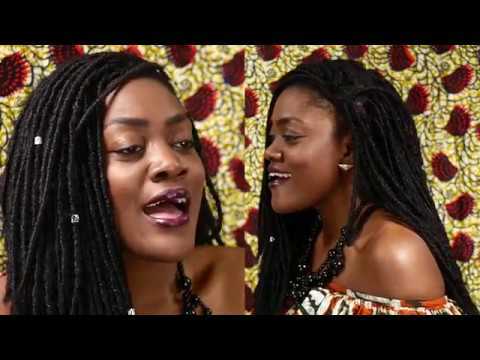 There are two African artists that have a song I absolutely love. I had to do a cover of Stonebwoy’s song My Name and Burnaboy’s record Hallelujah. Stonebwoy masters the art of bringing out inspirational songs that turn into hits. And Burnaboy brings out songs that stay in my head(lol). 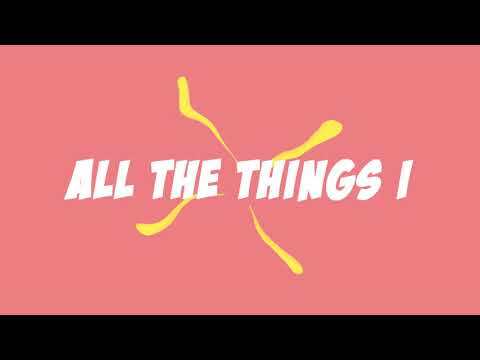 The song reminds me to thank God daily. Besides that I also love doing covers to songs by male artists, because it allows me to creatively give my own twist to the song. The video is done by Fawohodie Studios and the guitar is played by Dr. Ubiquity.